But an A is just three sticks. There's always Pooh and Me. "Well that's very odd 'cos I was too. "Let's go together," says Pooh, says he. 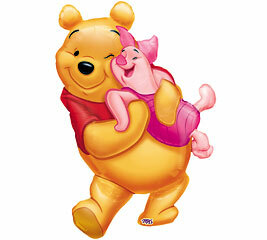 "Let's go together," says Pooh. 'Just what I think my self,' said Pooh. But that's what it is,' said Pooh, said he. 'That's what it is,' said Pooh. 'Let's look for dragons,' I said to Pooh. 'Yes, let's,' said Pooh to Me. 'Yes, these are dragons all right,' said Pooh. 'As soon as I saw their beaks I knew. That's what they are,' said Pooh, said he. 'That's what they are,' said Pooh. Can stick together,' says Pooh, says he. 'That's how it is,' says Pooh. Eeyore was saying to himself, "This writing business. Pencils and what-not. Over-rated, if you ask me. Silly stuff. Nothing in it." When looking at your two paws, as soon as you have decided which of them is the right one, then you can be sure the other one is the left. It is more fun to talk with someone who doesn't use long, difficult words but rather short, easy words like "What about lunch?" "We'll be Friends Forever, won't we, Pooh?" asked Piglet.